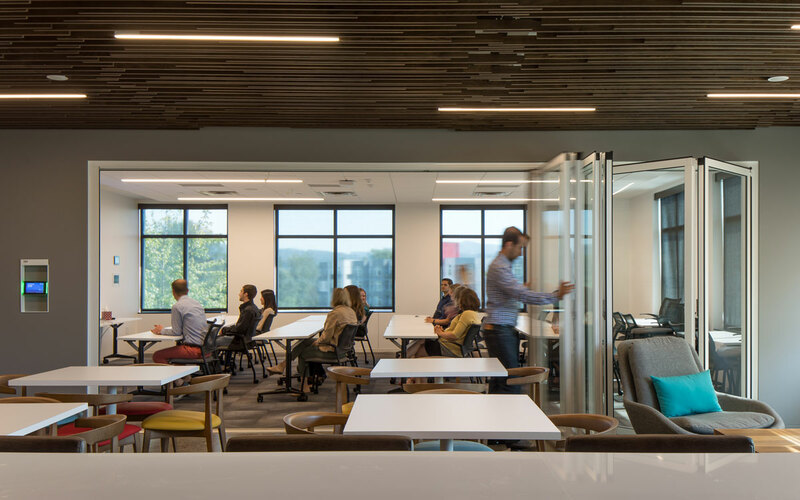 Renovations to a 14,047 sf office space in the Barkley Village in Bellingham for Moss Adams included the demolition of the original space to transform it into an open office with huddle spaces for collaboration. 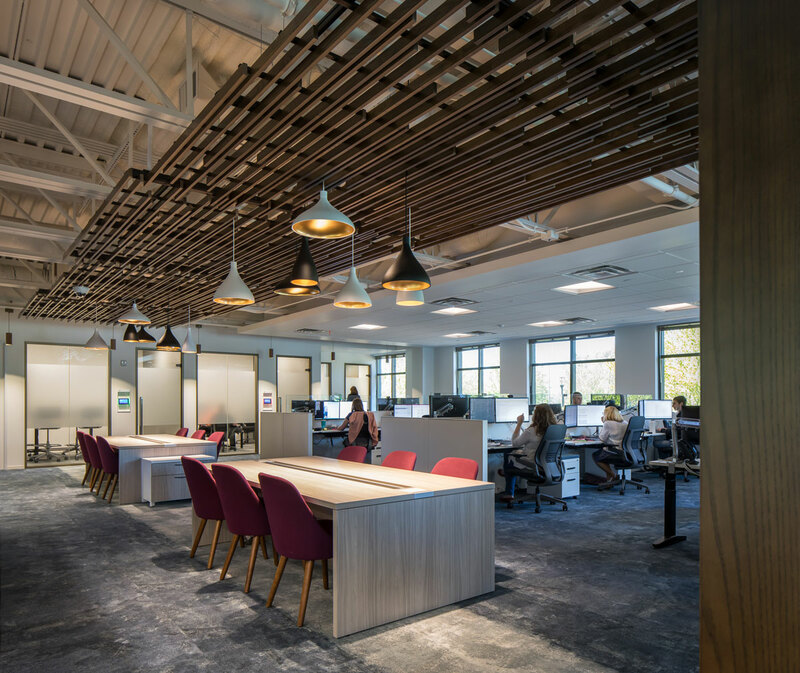 The traditional acoustic ceiling was gutted and replaced with an open concept ceiling to complement the open office space. 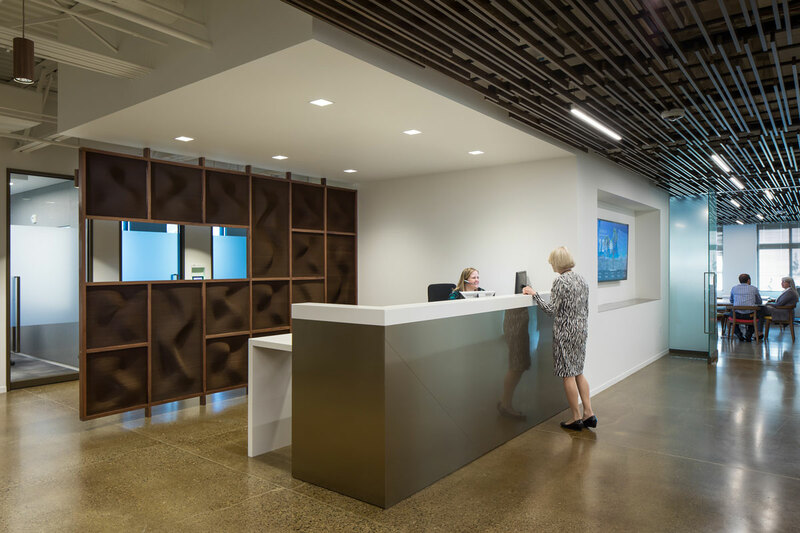 The design concept, “HWY 210”, is a two-color scheme concrete look that is utilized in the reception area, conference rooms, focus rooms, and convertible coffee/vending. The design features high-end glass and glazing, frameless relites and custom glass doors.